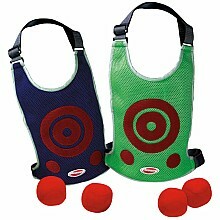 Action-packed fun when tag and dodgeball combine! 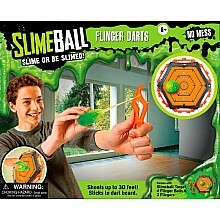 For ages 5-12 yrs, from Diggin Active. Score! 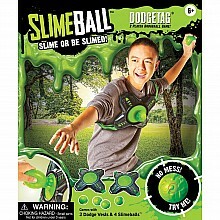 Make the Slimeballs stick to your opponent's vest while you dodge their throws. For ages 6-12 yrs, from Diggin Active. 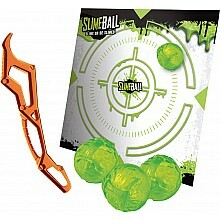 Slimeballs shoot out of the Slinger up to 30'! For ages 6-12 yrs, from Diggin Active. Late summer nights are perfect for outdoor glow games! For ages 6-12 yrs, from Diggin Active. Shoot 3 slimeballs at the target. Splat! Safe, slimy play. 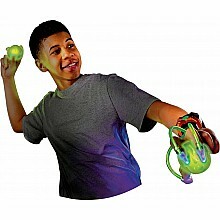 Control the spinning sphere with the power ring! For ages 8 yrs-teen, from Diggin Active. 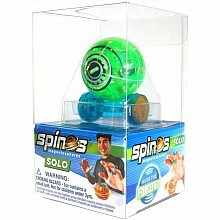 No batteries or electricity required, just the force field that's created by the wild spinning action! For ages 6 yrs-teen, from Diggin Active. 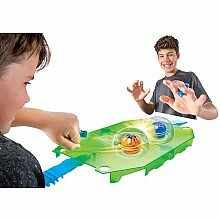 Control the spinning sphere with the power ring! For ages 6 yrs-teen, from Diggin Active.